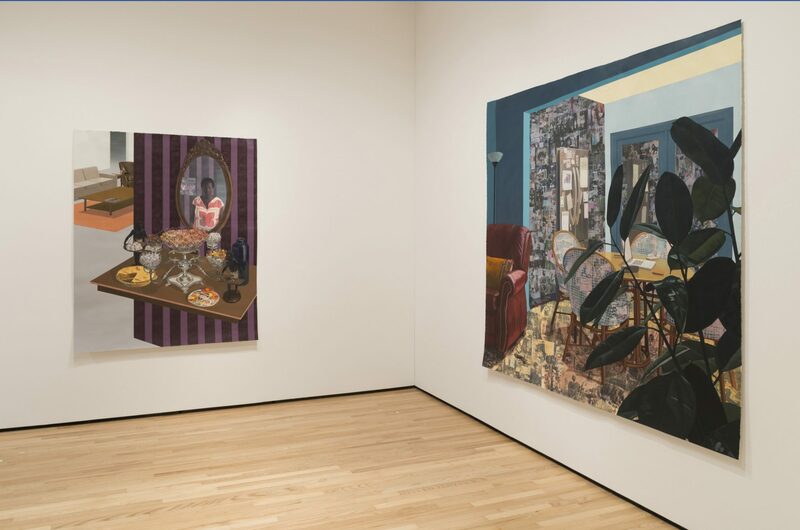 Njideka Akunyili Crosby is a Nigerian-born visual artist working in LA, California. 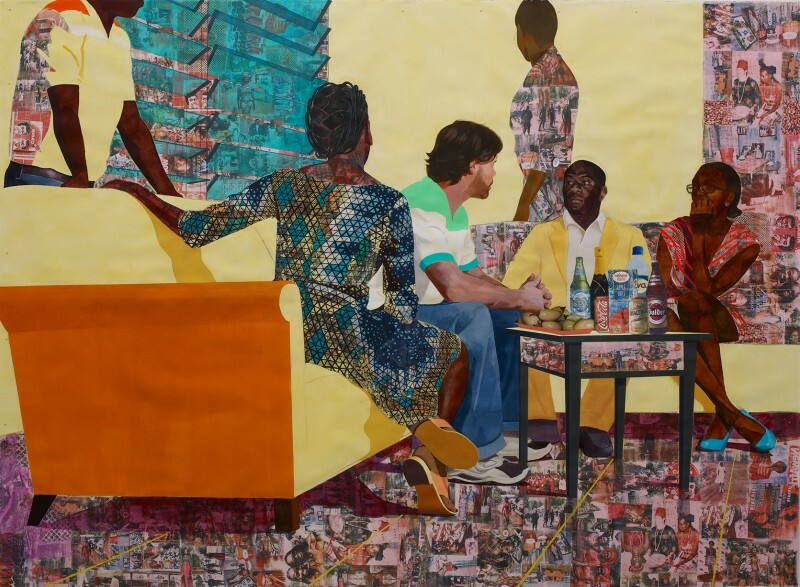 Akunyili’s art “negotiates the cultural terrain between her adopted home in America and her native Nigeria, creating collage and photo transfer-based paintings that expose the challenges of occupying these two worlds. In 2017, she won the prestigious $625,000 MacArthur Foundation Fellowship Prize. 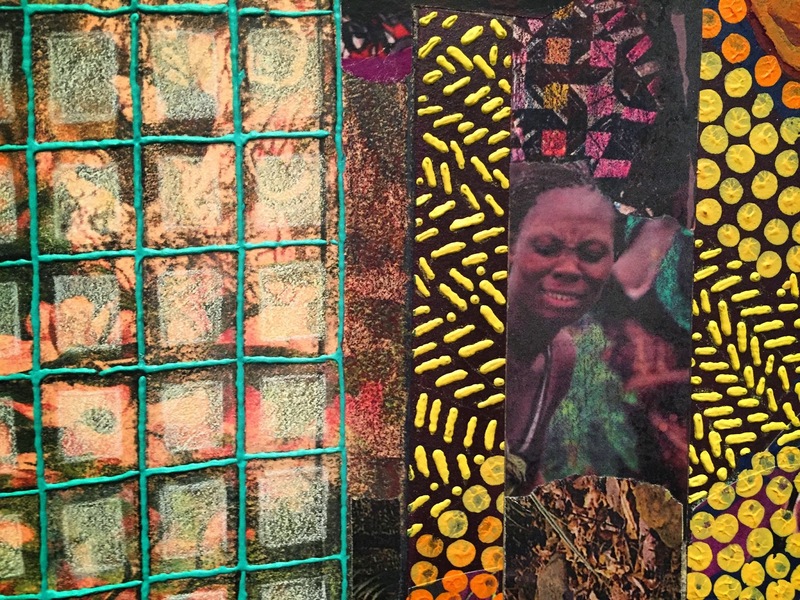 Although she was born in Enugu, Nigeria, Akunyili mixes painting, drawing, phototransfer, printmaking and other materials to make art that draws experience from her life as a cosmopolitan Nigerian woman who lives and works in the United States. In her explorations of the complexities of forging an identity in a globalized society, Akunyili Crosby is developing an inventive yet accessible representational strategy for understanding culture and history from multiple viewpoints all at once. Her works frequently depict her experiences living in the United States and the point of contact where cultures meet—for example, I Still Face You (2015) portrays her American-born husband seated at a table with her family. In Super Blue Omo (2016), the legs of the seated female figure appear to be projected onto the work’s surface. Many layers of materials from different sources overlay one another, with the final effect being that of an image that refuses to stay fixed, vacillating across different cultures and traditions. While her source imagery often references her African heritage. 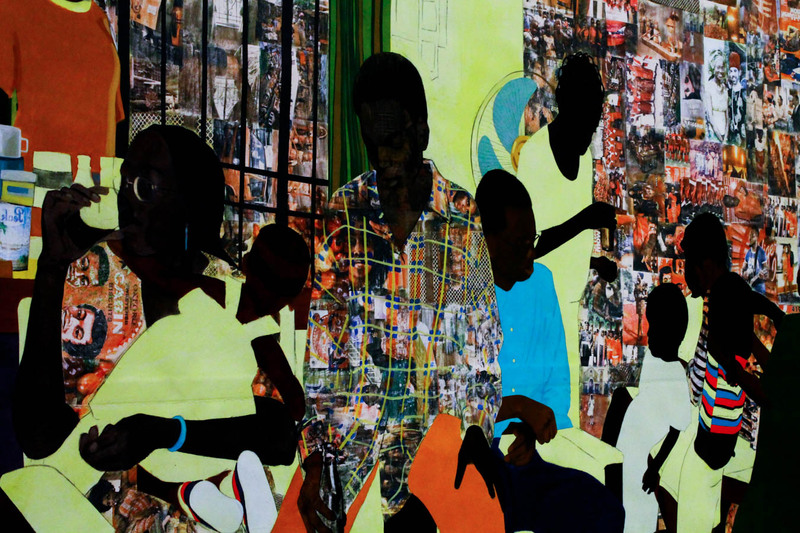 Njideka Akunyili Crosby received a B.A. (2004) from Swarthmore College, a Post-Baccalaureate Certificate (2006) from the Pennsylvania Academy of Fine Arts, and an M.F.A. (2011) from Yale University. 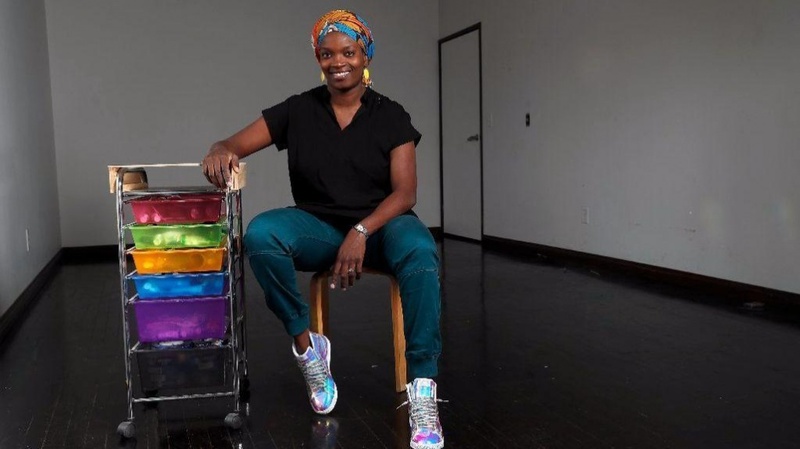 Her work has been exhibited in solo and group exhibitions at the Whitney Museum of American Art, the Studio Museum in Harlem, the Hammer Museum, and the Norton Museum of Art (West Palm Beach), among others. She has been a visiting instructor at the California Institute of the Arts (2015­–2016), the Maryland Institute College of Art (2012), and Swarthmore College (2011). You can visit her website or get to know more about her on her Wikipedia page.